Gain a qualification of top international-standing with strong practical industry skills. It is the only journalism programme in Australia or New Zealand accredited by US organisation the Accrediting Council on Education in Journalism and Mass Communication. The Postgraduate Diploma in Journalism is the qualification that you need to become a journalist. It is a one-year full-time course, focusing on practical, relevant skills. This internationally recognised degree is based on leading overseas journalism qualifications and will build a firm foundation for an exciting career in journalism and other media-related areas. On-the-job experience is a key component of the qualification, giving you relevant experience sought after by employers. In the second half of the year, you will spend time working at media organisations, which include newspapers, news websites, magazines, radio and television stations. You will then do a full-time work placement at a media organisation. This could be anywhere in the country, including major dailies, provincial newspapers, magazines, internet news organisations, radio and television stations. Our journalism students are regular finalists and winners of the journalism industry's prestigious Canon Media Awards. They also regularly win major national prizes for investigative journalism. Massey’s lecturers are experienced journalists. They are respected by the industry and are contributing to this area of study, not just at Massey, but internationally. 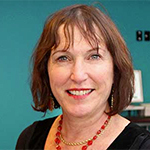 The head of the master’s journalism programme at Massey is the editor of the standard journalism textbook used at all New Zealand journalism schools (and all Massey’s journalism's staff contributed to the book). The Massey journalism programme enjoys a close working relationship with the country’s leading newspapers, news websites, radio stations and television stations. Wellington’s Dominion Post newspaper, for instance, has hired many of our graduates, hosts our students on work experience and funds prizes, such as the Alex Veysey Memorial Prize, for our top students. Our journalism programme is part of a prestigious and small group of international programmes (and the only one in Australia and New Zealand) to be recognised by the US-based Accrediting Council on Education in Journalism and Mass Communication. The accreditation recognises the Massey course's top international standing, excellent connections with industry, commitment to constant improvement, strong leadership, and quality research output. And journalism educators in the US recently judged our course’s intensive module on reporting for the web as the best teaching idea “by far”, beating out more than 50 mostly US-based courses. You will learn the vital industry skills to be a successful journalist in our modern society. You will learn news reporting, web-based reporting, feature writing, sports reporting, radio and television reporting, shorthand, etc. These are all the skills journalism workplaces expect of their new recruits. It is no wonder the programme boasts an effectively 100 per cent employment rate. Web-based journalism: Produce online news items (including text, links, audio and video). Upon completion, you may choose to continue with a six-month in-depth project to complete a Master of Journalism qualification. My first job was as the Taupo branch office reporter for the Rotorua Daily Post. 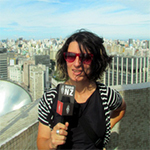 I then moved to RNZ after a year as a general reporter specialising in environmental and science stories. After a year in the newsroom I starting working in the Press Gallery, first on secondment and then on a permanent basis. I chose Massey because I had met a lot of journalists who had done the course and recommended it, and some senior journalists whose work I admired were trained there. I thought the programme provided an excellent grounding in news-gathering and writing. I especially valued having a former journalist with more than 20 years experience in the industry as a lecturer. The Diploma was hugely effective in kick-starting my journalism career. I would have struggled to get to where I have so quickly without having completed the course. When I did the programme in 2004, students had to have 50 articles published by the end of the year. During the year I was behind where I needed to be, so I rang the Rotorua Daily Post and asked if I could spend a week in their newsroom during the semester break to boost my story count. I realised the moment I sat down in the newsroom that I knew exactly what to do, and that I had been well-trained. At the end of that week the editor offered me a sole-charge position starting immediately after the course finished. I have the Massey University Postgrad Diploma in Journalism to thank for that job. A Ministry of Education report ‘Moving on up: What young people earn after their tertiary education found that in New Zealand earnings and employment rates increase with the level of qualification completed. A regular commentator on media and journalism issues Dr Strong has several decades of media experience across newspapers, radio, television, and online in several countries. These included with Radio New Zealand, Energy Source Television and Knight Ridder Newspaper chain. Her research focuses on best practice in the newsrooms, as well as social media usage, Arab media, and gender and media.